Synopsis: Andy heads off to cowboy camp leaving his toys to their own devices. Things shift into high gear when an obsessive toy collector named Al McWhiggin (owner of Al's Toy Barn) kidnaps Woody. At Al's apartment, Woody discovers that he is a highly valued collectible from a 1950s TV show called Woody's Roundup, and he meets the other prized toys from that show, Jessie the Cowgirl, Bullseye the Horse, and Stinky Pete the Prospector. Back at the scene of the crime, Buzz Lightyear and the other toys from Andy's room, Mr. Potato Head, Slinky Dog, Rex and Hamm spring into action to rescue their pal from winding up as a museum piece. The toys get into one predicament after another in their daring race to get Woody before Andy returns. Review: The format of blu-ray high definition was made for films like Toy Story 2. Its the way that technologically advanced films like this one were meant to be enjoyed. I've been waiting a long time to get all of the Pixar films released on blu-ray...the most of which is Toy Story and Toy Story 2. We just reviewed Toy Story on blu-ray, now we're taking a look at the fantastic sequel. There was a gap of 5 years between the release of Toy Story and Toy Story 2 and it really does show in the fluidity of the characters. When you see them talk in high definition Toy Story is great, but Toy Story 2 is miles ahead in quality. 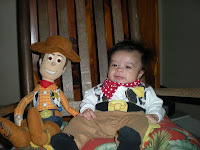 I can't even imagine what Toy Story 3 will be like! The image is so crisp that this 11 year old film looks brand new again. 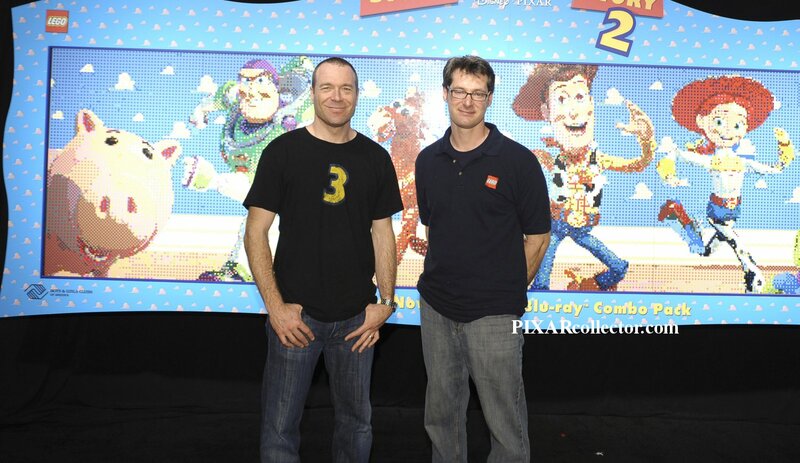 The blu-ray is packed with extras, including great sneak peeks at Toy Story 3, coming to theaters this June. The combo pack is a really nice situation, because you can let the kids abscond with the DVD and keep the blu-ray nice for the family. Rating: 6 out of 5 Stars!!!!!!!!!!!!!!! 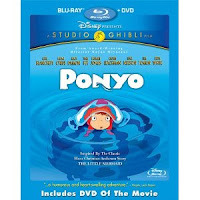 Synopsis: In this 3D computer animated feature, a pull-string cowboy doll is the leader of the toys until the latest, greatest action figure enters the picture. When the toy rivals are separated from thei rowner, they ultimately learn to put aside their differences and work as a team to get back home to the boy they love. Review: I'm not going to insult you by going into a review of the actual movie 'Toy Story'. You've seen it. Heck, you've probably seen it a thousand times by now, right? I first saw Toy Story when I worked at a movie theater back in 1995...I was 16 years old at the time. I saw kids piling in on opening night, I wanted to see what all of the fuss was about, so I stood in the back and watched. I watched that movie every showing from then on. I brought my girlfriend's siblings to it, I got the kids meal toys.....I ended up getting my wife into it when we met. She now has one of the largest Toy Story collections in the world. We're serious about Toy Story here at the Legion! Finally, in anticipation of Toy Story 3 (coming this June to theaters) we're getting Toy Story on blu-ray! This is the way that Pixar film was meant to be seen. The major question on everyone's mind isn't whether the film is of good quality, but how does it look in high-definition?! There are plenty of films from the mid-90s and thereafter that just don't look well. Toy Story is not one of those films. The transer to blu-ray is not only flawless, but it brings out this film the way it was meant to be seen. It looks like a brand new movie. You notice textures and detail that you just don't see on the previous DVD and VHS releases. The colors pop off the screen. This is it! 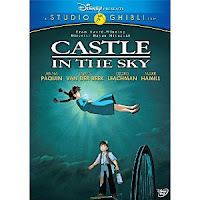 The movie comes in the convenient blu-ray / DVD combo pack that Disney pioneered. 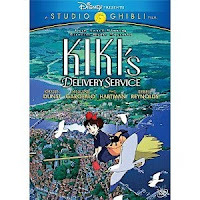 This way, you can have a DVD copy for the kids to muck up and a nice blu-ray for the family to keep nice. This is a MUST HAVE purchase. 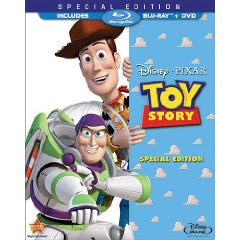 Get it for the family, yourself, the kids for Easter, it doesn't matter, but if you own just one blu-ray release it should be Toy Story (and Toy Story 2) on blu-ray! Rating: 6 out of 5 Stars!!!!!!!!!! LEGO 'Toy Story' Mural Unveiled to Celebrate Blu-ray Release! Tuesday, March 23, 2009 – Hollywood, CA – Pixar Story Supervisor Jason Katz (Toy Story, Toy Story 2, Toy Story 3) and LEGO Master Builder Erik Varszegi joined kids from the Hollywood Boys & Girls Club to assemble a one-of-a-kind mural in support of the Toy Story & Toy Story 2 release on Blu-ray™ (March 23). Kids from six different Boys & Girls Clubs across the US in regional markets each built a portion of the elaborate Toy Story mural out of LEGO® bricks, which were joined together for the first time in Los Angeles. Participating Cities included: Washington DC, Chicago, Houston, Philadelphia, Denver and Los Angeles. 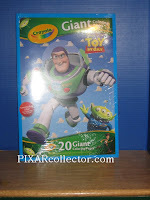 support of the TOY STORY and TOY STORY 2 Special Edition Blu-ray releases. One of the most beloved movies of all time comes to life in LEGO® form! 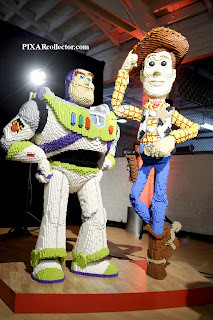 Buzz Lightyear and Woody are joined by other favorite characters in minifigure form as the adventure builds in the playroom with LEGO sets inspired by classic Toy Story and Toy Story 2, as well as the much-anticipated June release of Toy Story 3. This March 23, 2010 Walt Disney Studios Home Entertainment (WDSHE) proudly presents the eagerly awaited high definition debuts of Disney•Pixar’s original animated classics Toy Story and Toy Story 2. In 1995, Toy Story made history as the first feature-length computer animated film and, together with its beloved sequel Toy Story 2, helped establish Disney•Pixar as creators of unrivaled quality family entertainment. 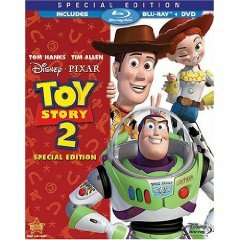 Now, viewers can rediscover these wondrous tales of what happens when humans leave the room - and toys come to life - as Toy Story and Toy Story 2 debut on Disney Blu-ray™+ DVD Combo Pack, followed seven weeks later by the Special Edition DVDs. For the first time ever, these two groundbreaking films are presented with eye-popping 1080p high definition picture and 5.1 DTS-HD Master Audio sound, along with hours of innovative new bonus features. 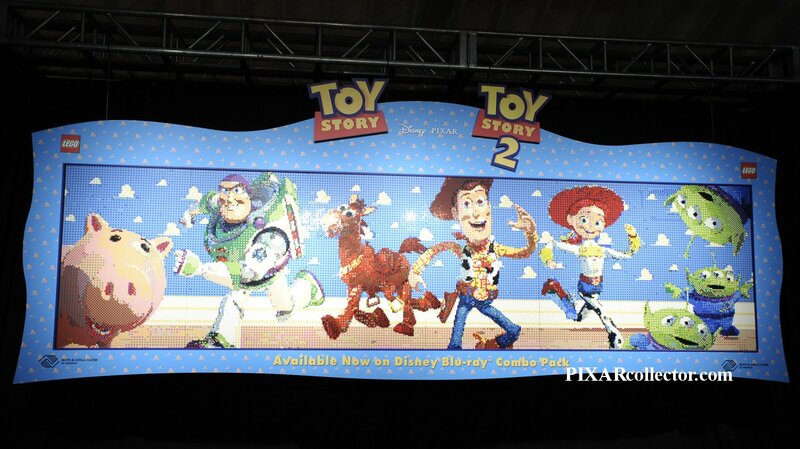 Also included are exclusive sneak peeks at Disney•Pixar’s Toy Story 3, hitting U.S. theaters on June 18, 2010. 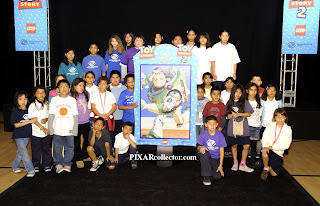 Disney’s relationship with Boys & Girls Clubs of America (BGCA) has spanned more than 50 years. As early as 1963, Walt Disney served as an honorary member of the Board of Directors and did a public service announcement for the “Boys Club,” the official name of the organization at the time. In recent years, Disney has donated millions in financial and in-kind donations as well as volunteer services to support Boys & Girls Clubs of America. 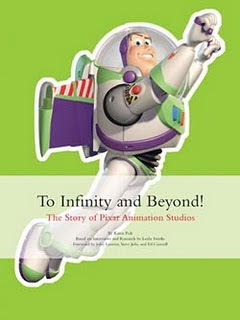 About the Book: To Infinity and Beyond! -- In 1986, gifted animator John Lasseter, technology guru Ed Catmull, and visionary Steve Jobs founded Pixar Animation Studios. Their goal: create a computer animated feature, despite predictions that it could never be done. An unprecedented catalog of blockbuster films later, the studio is honoring its history in this deluxe volume. From its fledgling days under George Lucas to ten demanding years creating Toy Story to the merger with Disney, each milestone is vibrantly detailed. Interviews with Pixar directors, producers, animators, voice talent, and industry insiders, as well as concept art, storyboards, and snapshots illuminate a history that is both definitive and enthralling. Our Take: The moment you lay eyes on this book, you can tell that great care was taken to create a classy and definitive edition about the evolution of the Pixar animation studios. The presentation of the book is upper shelf. It has a die-cut Buzz Lightyear on a light green fuzzy hardcover. There is a wraparound see-through paper with the title and author. 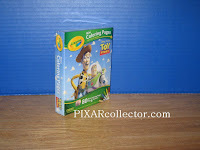 The inside cover is adorned with a huge collage of Pixar characters from Bug's Life to Toy Story! The book is jam-packed with sketches, full-color images and drawings from the production of all the Pixar films. What grabbed me about this one is that it isn't just an art showcase book, which would be fine, but it has a tremendous amount of text. The level of information in this book would constitute a pictureless hardcover. To Infinity and Beyond takes you from Pixar's early days all the way through the production process behind each of their hit films, up to Cars. The book also has "Spotlight" feature pages that cover the infamous Pixar animated shorts, like 'For the Birds' and the music and sound behind the films. John Lassester and Pixar really revolutionized animated film. They hands-down saved Disney's behinds from complete destruction by Dreamworks and have given us some of the most amazing films to date, like Toy Story and Finding Nemo. This is a book that everyone should own. So it is written, so it shall be done! 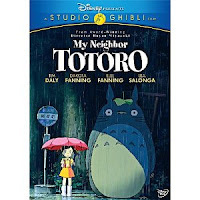 This week over at our network site DVDLEGION.com, we have reviewed the new Disney releases Ponyo on Blu-Ray, and special 2-disc DVD editions of My Neighbor Totoro, Castle in the Sky and Kiki's Delivery Service! Here at Pixar Collector we're always looking for the coolest new merchandise. This week we've decided to feature the entire spring line-up from Crayola! They're making some great Toy Story merchandise, in anticipation of the third film, coming this June! Today we're cramming two very similar items together for the final day of Crayola Week! 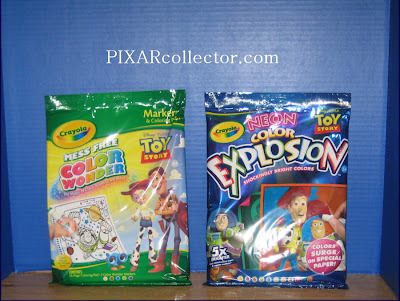 We have the Toy Story Mess Free Color Wonder and the Toy Story Neon Color Expolosion! Thank you to Crayola for making this special week possible! Let your little explorer take on the world in full color and style – with the Disney Toy Story Markers and Coloring Pad Set. Featuring Color Wonder™ markers and paper, this set gives kids hours of fun and adventure. Recommended for ages 3 and up. Get ready for an explosion of the neon variety! 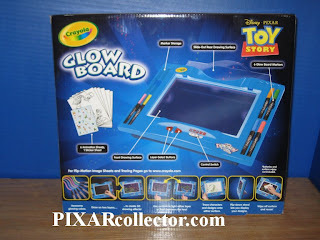 Crayola® Neon Explosion Disney Toy Story lets kids create vivid, neon images on brightly colored paper. Each page features unique, licensed images and content for an exceptional play experience. How to Buy: You will find these in most stores, or you can purchase the Mess Free Color Wonder and the Neon Color Expolosion Set on CrayolaStore.com. 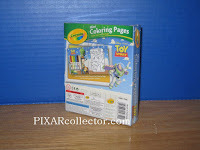 Today we're showing you the Toy Story 20 Giant Pages to Color set! This literally gives you 20 giant, poster-size pages to color. 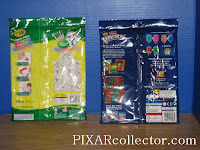 Toy Story fans are so spoiled right now with companies like Lego and Crayola putting our their product with our theme! These are so fantastic! Watch for these in-stores soon! 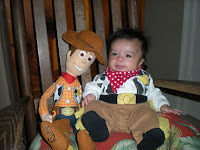 This is the adorable son of Rachel D. She has been kind enough to share pictures of her son, Dominic, All dressed up as Woody from Toy Story. 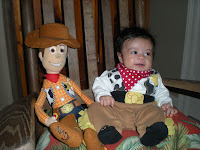 Not only is he Woody but he has a Woody companion as well! 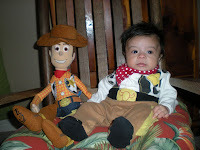 Isn't he the most precious Woody you've ever seen and all that hair! If anyone else would like to contribute pictures of their children either dressed as a Pixar character or playing with their Pixar toys we'd love to post them! The set contains 80 mini-coloring pags and 6 markers. I can tell you that, as a parent, letting kids take along full-size notebooks or coloring books when you're in the car or going somewhere for any amount of time is a huge mess. These mini-coloring page sets are a lifesaver! The box fits in the palm of your hand. This one is cool for collectors. It has the classic Toy Story motif and logo. It fits nicely on any shelf for display! Watch for it in stores! 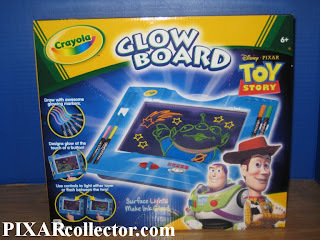 For day two we're going to feature the Crayola Toy Story Glow Board! Create amazing glowing images with the Crayola® Toy Story Glow Board. Use the six vibrant-colored to draw your favorite Toy Story characters; then touch the magic button and watch your creations light up! Use the built-in controls to light up the upper or lower layer of the Glow Board – or flash between the two. Requires three AA batteries (not included). Recommended for ages 6 and up. 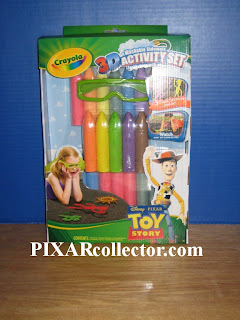 Today its the Crayola Toy Story 3D Activity Set! It includes stencils, chalk and glasses to create 3D images on the ground! Let these lovable Toy Story characters carry you away to a magical 3D world! Use any paved driveway or sidewalk as your canvas and create brilliant images with the sidewalk chalk and crayons. Then don the 3D glasses and watch your art come to life! Recommended for ages 4 and up. 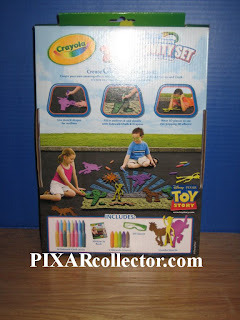 Crayola makes amazing product and this invention of the 3D chalk is a blast! Their packaging is bright and looks great for display, so collectors will love this one. Kids...its a no-brainer!